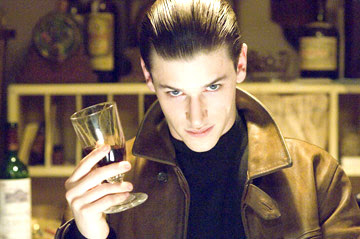 If not for the fact that “Hannibal Rising” acquires a performance of great intensity and determination from newcomer Gaspard Ulliel in the title role, its only relevance would be as a topic of discussion in college film classes where the day’s lesson is about being conceited and overzealous with a screenplay. 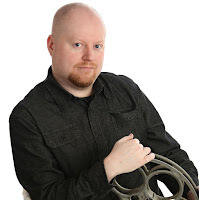 The movie is a mess of monstrous proportions, labored by all estimations from the narrative perspective, and driven by a certain smugness that demands the movie’s viewers to blindly accept any and all plot devices it throws at them, no matter how obvious and convenient they may be. To call the film obvious and manipulative in its conviction would not accurately sum up its most specific dilemmas, either; the screenplay displays such a lack of skill to its subject that it entirely skirts important issues, submitting to explanations that sidestep detail in favor of locating the most simplistic and expedient answers possible for the material. Hindsight, it turns out, is bad news when you’re a cannibal trapped in a Hollywood script. And yet I watched the movie without compunction for two straight hours, endlessly fascinated with the way the matter is staged by those in the foreground. Ulliel, a relatively unknown French actor whose obscurity certainly facilitates the execution, is an artist of behavioral theatrics; he tackles a role in which we have grown so familiar in a way that doesn’t merely add layers to the existing persona, but full dimensions. His Hannibal Lecter is one of unresolved guilt and torment, and one that requires just as much subtlety around the edges as it does menace and youthful ignorance, but Ulliel is undaunted by the challenge here. It is calculated, fearsome and zealous beyond comprehension, and there are moments when we simply forget about the Anthony Hopkins incarnation of the persona and want to live in the moment of this version, if just for the sake of savoring the sheer spirit of his performance. But it is a performance, thereto, so immensely convincing that one would half expect to witness it in a movie much more deserving of the content. Alas, “Hannibal Rising” reaps the benefits of its namesake to put on display some of the most obvious and awkward attempts to fill in story gaps that I have ever seen. Thomas Harris, who wrote both the book and the movie, is burdened by a premise here hat refuses to live for the moment. The material knows it is a prequel, and acknowledges such with tactics that consist of taking viewers from beginning to end in the most straightforward way possible, without even recognizing the potential reward that comes from journeys with bends and obstacles. Even then, at least, the picture might have been somewhat congruent with later chapters of Lecter’s life had the direction saw something more than just straightforward thriller with the screenplay, but it doesn’t. There is no doubt that director Peter Webber has a great enthusiasm for making movies, but he is incapable of coming up with a rhythm to balance this laden subject, and sometimes his style choices are so jarring in their delivery that the audience never knows how it is supposed to feel in response. The story opens in Lithuania in 1944, on the cusp of a very young Hannibal being forced to become adult virtually overnight. He and his family flee home in light of Nazi invasion, and set up shelter in a cabin in the woods where, needless to say, they expect to be safe. But all does not go according to plan, and when the would-be cannibal and his young sister are orphaned in an intense face-off between his parents and German gunmen, they are both left alone in the dark and cold cabin to fend for themselves. If only, however, that were their only predicament; just as food becomes scarce between the young survivors, a group of hungry and brutish Nazi renegades wander into their shelter and set up residence, igniting what is to be a predictably-overwrought series of gruesome actions that will take a young orphan and turned him into a hard and vengeful young adult. That the movie plays the material with such implausible conviction only adds to our frustration. The character of Hannibal Lecter is not merely some paint-by-number antagonist whose endurance on celluloid has been accomplished simply on the basis of luck and circumstance; he is a powerful and fascinating persona, entirely unsympathetic but endlessly stimulating from every possible standpoint. As such, the basis of his origin depends not on easy answers or general conflicts in order to set the stage of his impending transformation from human to beast. The circumstances that propel Lecter to the person we know him as, however, suggest the writer cared nothing about building believable channels. The plot plays entirely against logical odds, allowing the young aspiring doctor to not only get caught up in situations that allow him to test his skills as a cold-blooded murderer, but also permit him to enact his revenge on nearly all of the same Nazi war criminals that mentally scarred him during the end of the war, many of whom now live conveniently nearby and still keep in close contact. The movie, at least, plays up some of the dramatic intensity of these situations in the visible effort of the actors, many of whom seem dedicated to this material as if to believe they are not participating in an ill-fated endeavor. Gong Li is especially good as Lady Murasaki Shikibu, Hannibal’s aunt by marriage, who is now widowed and becomes the orphan’s guide to adulthood at a time when he has no one he can count on (or, at the bare minimum, tolerate). Equally can be said of Dominic West, who plays an inspector investigating a surge in violent deaths involving beheadings with people associated with Lecter; his eyes shift and probe like all the great movie detectives of their day, in sync with his own instinct but intelligent enough to know that there is a time and place to act on mere suspicions. In keeping with the rhythm of the Lecter legend, the movie also does a good job of bridging Hannibal’s childhood with his adolescence, from the bad memories of Lithuania that eventually fester themselves into obsession in 1950s Paris. What is so unbelievable, unfortunately, is that the script chooses to bring all its situations directly to Lecter without giving him the opportunity to do any of the work himself. It creates the plot device of him becoming a doctor entirely out of thin air. It gives him an excuse to experiment with Samurai armor simply on the basis of creating a familiar image for those who recall the infamous face-guard wardrobe from Jonathan Demme’s “The Silence of the Lambs.” It allows nearly all of his enemies to fall right into his lap. And worst of all, it paints all these ideals in such generic and messy strokes that what you’re ultimately left with is a canvas begging to be condemned to a discard pile. Make no mistake, the movie fails miserably on countless levels. But it is a failure, amazingly enough, that is endurable for the sake of relishing its performances; even I would gladly sit through it again just to experience Gaspard Ulliel’s radiant portrayal of the title character a second time. The writer and director lack the collaborative effort to save the material from a complete collapse, but at least they have put someone in the foreground who is more than willing keep us captivated amidst all sorts of impending devastation.